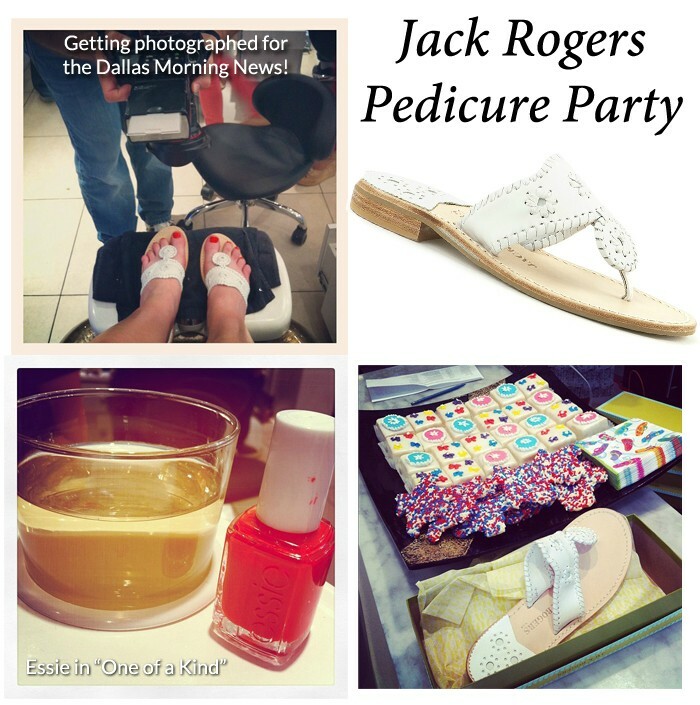 Last night I had the pleasure of attending a private pedicure party hosted by Jack Rogers! Accompanied by the top bloggers in Dallas, we snacked on decadent petit fours and Texas-shaped cookies by Stein, sipped on wine and got a pedi on the house at Posh Nail Spa. I chose Essie’s “One of a Kind” a bright, poppy red. We also walked away with gifted Jack Rogers sandals! Thanks to Alysa from Jack Rogers for throwing the party and for the great shoes! Get your own pair here.